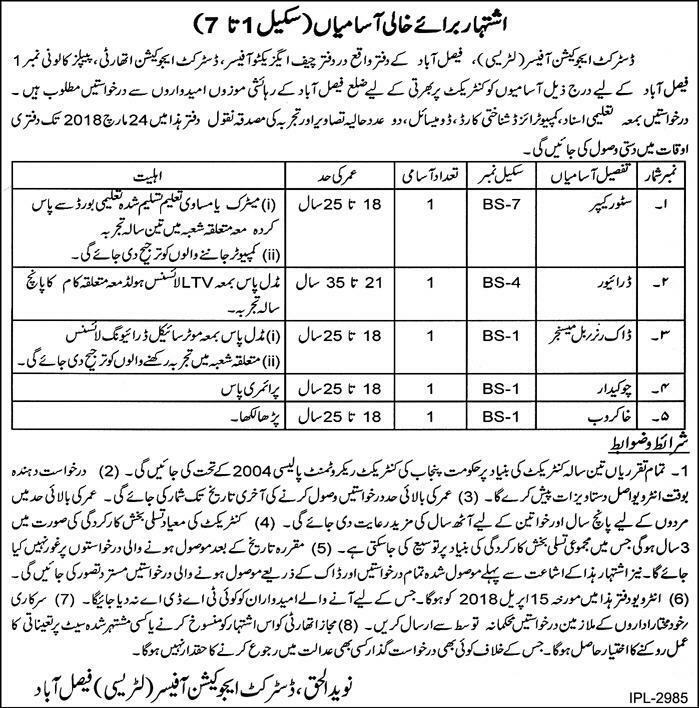 District Education Officer (Literacy) Faisalabad office located near the office of Executive Officer District Education Authority has announced 05 New Jobs in Daily Express Newspaper 08-03-2018. These Jobs are on Contract Basis and Only District Faisalabad Domiciled Candidates can apply for these jobs. Interested Candidates can apply for Education Department jobs 2018 for Store Keeper, Driver, Dark Runner/Bill Messenger, Chowkidar and Sweeper. Application forms received only by hand, other than after due date and by Post received application will not be entertained.